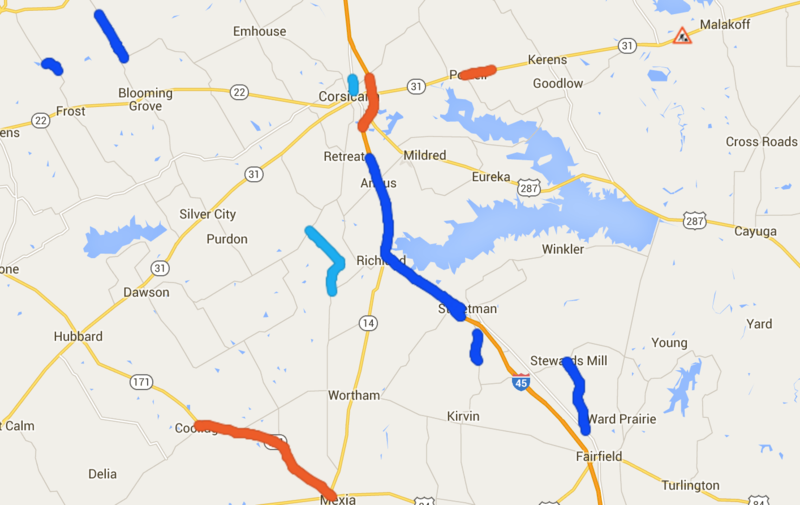 The north and southbound mainlanes and feeder road of Interstate 45, just south of Corsicana, have been shut down due to floodwaters. Several center concrete barriers had to be removed to allow the water to drain. Traffic on I-45 is at a complete standstill according to visitor posts on TxDOT’s Facebook page. Last night and early this morning, severe storm cells set up and trained over the I-45 corridor in between Corsicana and Fairfield. These storms dropped nearly 8 inches of rain in just a few hours, causing a major flash flooding event to occur. TxDOT expects I-45 to reopen around 8PM this evening. For up-to-date traffic conditions throughout the State of Texas, visit www.drivetexas.org.